The sons of Ragnar have grown up and are starting to live their own lives, much to Ragnhild's dismay. She clings to the past with a passion, but in her heart she knows that life will change, soon. Bjorn keeps pushing her for divorce, and she's about to relent... Then Ragnar returns. Ragnhild hopes against all odds that things will change for the better now, but even the gods have their doubts. They have kept their distance ever since Uppsala, but they have not forgotten about her, or Ragnar and his sons. Everything is about to come down like a landslide. It's not required to have read part 1 and 2 when you start reading here. Bjorn's raid from Moorish Spain brings back more than Ivar expected. will he be able to handle this exotic creature or will her fire consume him? Stepping out of your comfort zone, you share a night with the notorious Ragnar Lothbrok. You have been in love with Hvitserk for as long as you could remember and after witnessing his constantly flirting with Margrethe at a party you grow uncomfortable. That is until his younger brother Ivar offers you a deal you couldn't refused. However, as time goes on the two of you grow closer and it seems as if the fake relationship is more real than either of you believe. Your name was Bragi Lothbrok, the entirety of your life was and has always been sworn to your family, to your father, and your brother Björn. You followed your father to England, you were going to follow your father to Paris. Enter Halfdan the Black, and you think maybe despite the turnout of strangers in Kattegat, he might not be so bad. The fogs of foreign lands had intrigued Ragnar for some time and when at last given the chance, he explored them. In the rolling hills and low valleys were the tribes of wild and unfettered nature. The legends of them had been whispered around the fires of Northmen for many years, the fear of speaking their name was in all who did, the fear they would rise up from the fire itself and strike those gathered down. But the truth found would never match the fables told. You gave me the prompts, here are the written fics! Thanks a lot for your participation and check out the results. Athlestan returns from Wessex, bearing scars upon his palms. Ragnar is curious and worried as to where he got those scars, and even more worried for his friend's safety. No longer is his presence enough to sway others from attacking. So, he invites him to live amongst his family again. In which the cloak that Sansa dons is red and black and those who scheme to take her home hold up their end of the bargain. The reader wants to play a very special family game with Hvitserk...and it backfires in some way. One loves her, one wants her, one needs her. No where is safe. (Y/N) grew up as Ivar’s best friend. A life filled with unexpected turns and an ever watchful friend. But when Ragnar returns her friends change and she makes a gruesome discovery. With Ivar knowing her every move (Y/N) must survive a battle for power, a fight between brothers and a rivalry for (Y/N) herself. When a crew of vikings washes up on an African beach and receives help returning home Ragnar wishes to form an alliance with this country by any means. As a thrall with plenty of experience in the Lothbrok household, Y/N knew she could not refuse Queen Aslaug's request to treat and care for her son's legs. But Y/N rapidly discovers that treating the youngest prince wasn't the easiest of tasks, especially when said prince had been longing for the young thrall for quite some time. Y/N starts the new school year on a prestigious academy in Denmark. 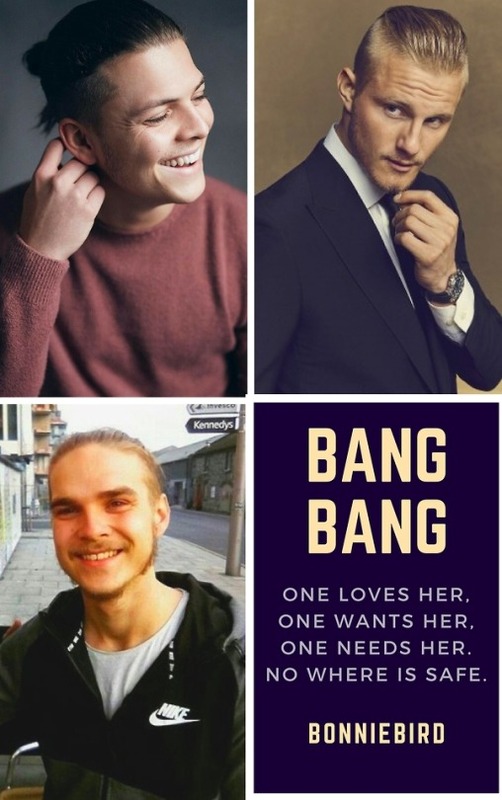 In there, she meets the Ragnarssons, four brothers that immediately catch her eye, especially the youngest one, Ivar, with who she'll have a very unusual relationship, full of hate, love and too many secrets. A seriously ill Ivar is sent back to Kattegat in the company of three young women who were sent to take care of the young prince. Athelstan is alive in this story and plays a surprising role in Ragnar’s fate. In this story, Lagertha does not kill Aslaug, she is in Hedeby raising her young son and daughter by Kalf. Also, all of the Ragnarssons are alive and will remain that way. Thorstein is still alive in this story and is raising his twins after their mother died unexpectedly. What if the Northmen were more influenced by the Gods than they knew? "For everyone, she was Queen Aslaug, or the shieldmaiden Randalín, and yet in his heart he still remembered as his father called her Kràka."